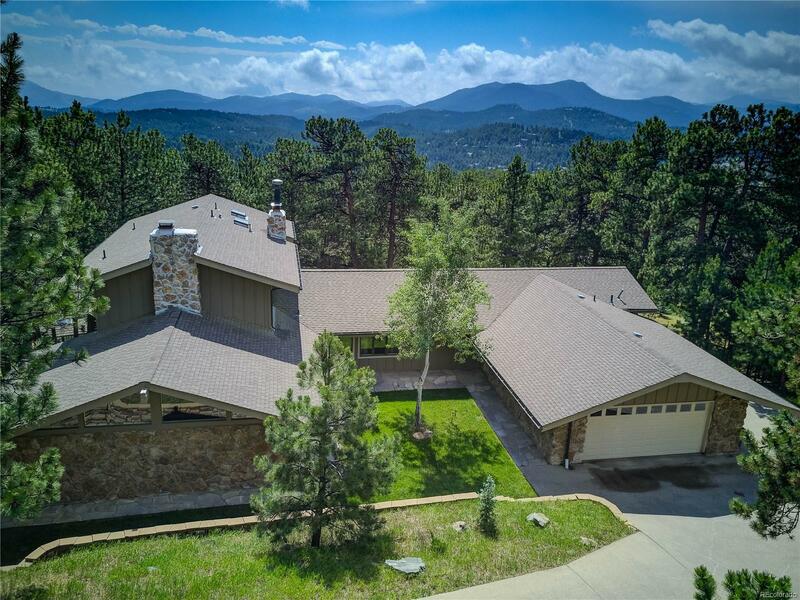 Beautiful 5BR/4BA Mt.Contemporary on a private & pristine lot in Hiwan. This one has character! The flagstone walkway leads through the front courtyard. The main level includes the Living Room with Vaulted Ceilings, Sunny Windows, Native Rock Fireplace & French Doors. The kitchen features quality cabinets, granite tile tops, stainless steel appliances, dbl ovens, Bosch dishwasher, Eat-in area & more. Off kitchen you''ll find the perfect Dining Area. The comfortable family room has the second fireplace, vaults and access to the wonderful Trex Deck. Three bright bedrooms, Updated Full Bath, Remodeled Half Bath & Laundry complete the main level. Upstairs: True Master Retreat (new carpet) with private deck & Full Bath. The Walk-Out Lower Level is bright and big! 5th Bedroom or office. Huge Rec Area with Bamboo Floors. Efficient Hot Water Heat. Anderson Patio Doors. Hail Resistant Roof. Extra Wide Garage. The driveway provides privacy from the street and gets great sun! A Hiwan Must See!